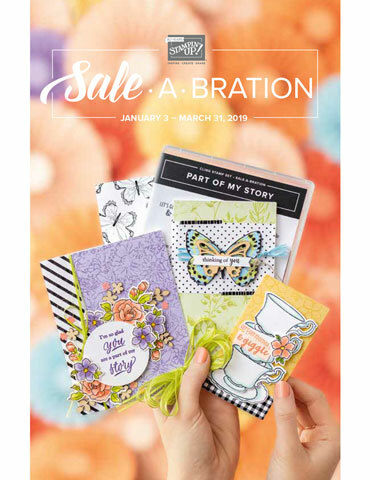 Did you know that each year Stampin' Up! releases a stamp set to raise money for this charity? 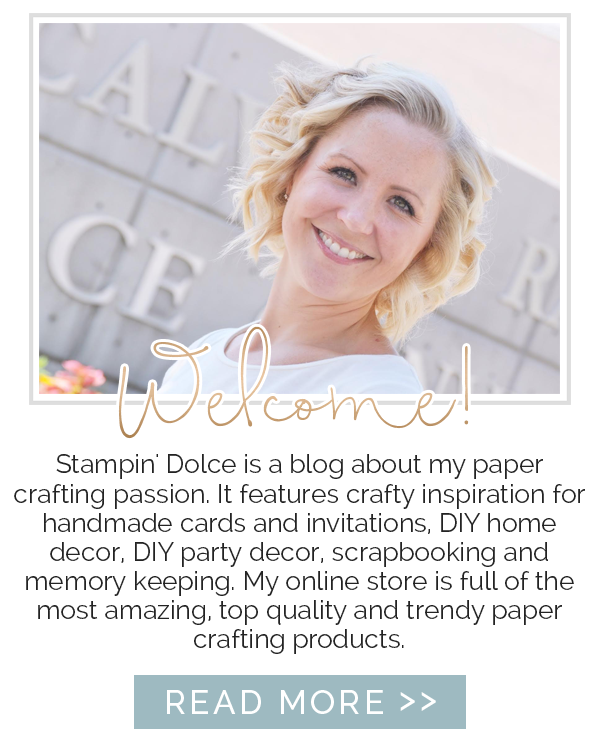 And that Stampin' Up! has contributed over $1,000,000 to date! Did you know that by purchasing this stamp set you can help contribute? 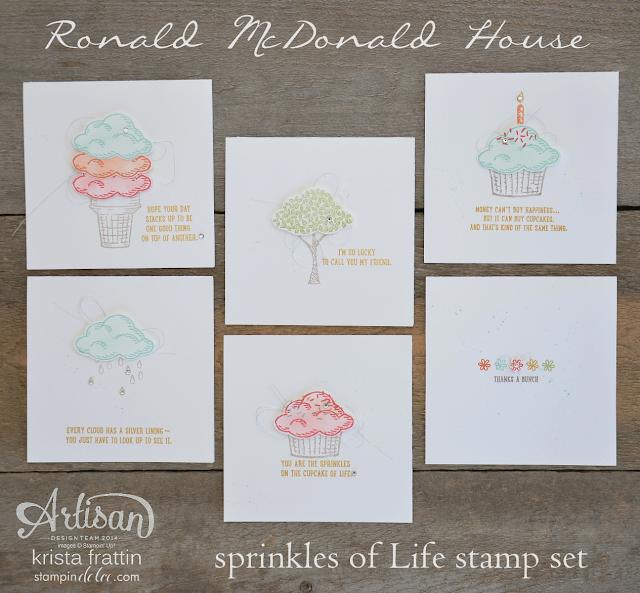 I had so much fun creating with this stamp set ... I have used it in a few events and it has been very popular. 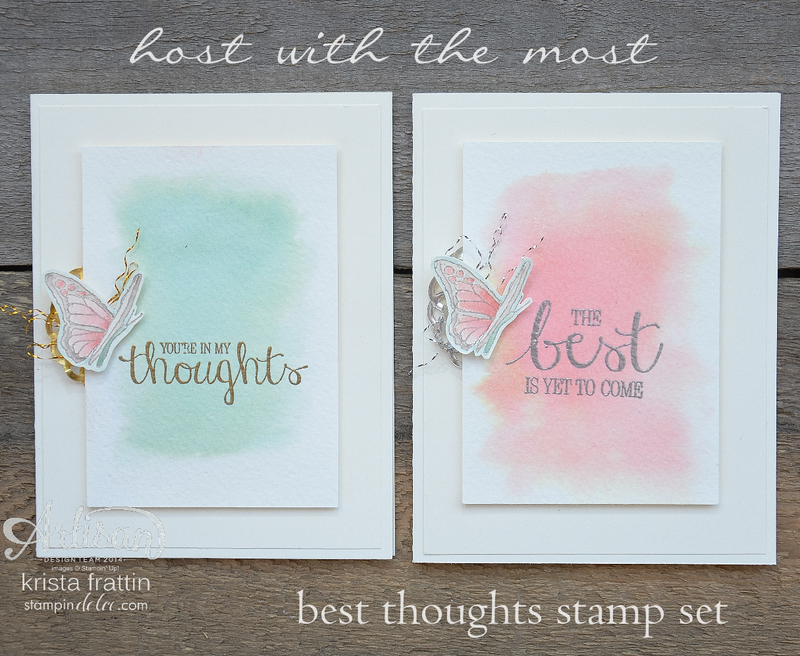 Trust me, after this blog hop you will NEED to have this stamp set (and the coordinating punch, of course!). Don't you just love them?!?! I have to run today ... we have a grade 1 class party, a final day at preschool and a fun day for grade 1 and 3. Phew, I am tired just thinking about it! Next on the hop is Lisa Harlow. See what she has done with the Sprinkles of Life Stamp Set! This weekend is the first official weekend of summer. 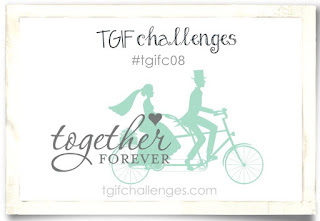 Wedding season is upon us and this weeks TGIF Challenge is perfect! 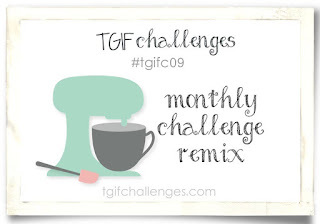 Are you new to the TGIF Challenge? Each Friday the design team will share our creations from the challenge sketch. Then it is up to you to play along! Create your version, snap a pic and share it using the weekly hash tag! Visit the TGIF site for more details and to see what everyone else is creating. First, skip the adhesive. That will gum up your needle and make it a hot mess. Second, play with your stitch length. 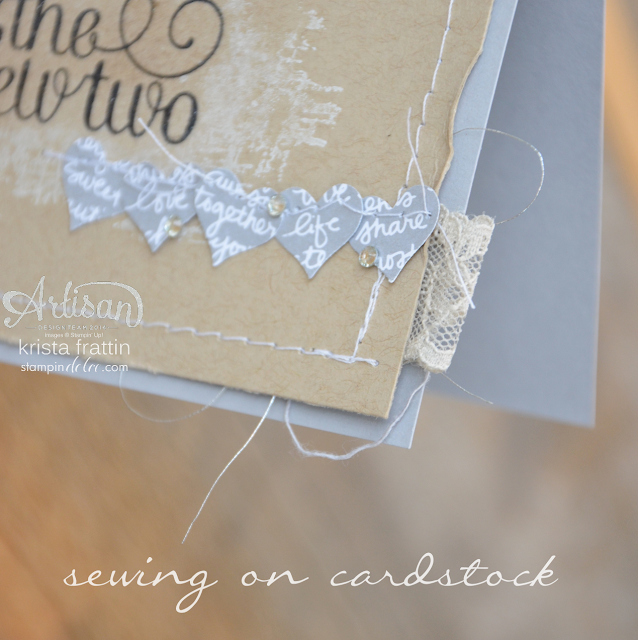 A small stitch length on paper will just chew the paper. Third, experiment with your tension. If your thread is making a tangled mess on the back side of the cardstock this will fix that. I always grab some scrap cardstock and run a few tests before I start the real deal. Trust me, this will make this much less stressful. For the small hearts I did not use my foot peddle. I did not want it to go too fast so I used the hand wheel. This way you can add one stitch at a time and slowly add each heart to the queue by lifting the pressure foot. The boarder stitching was done using the foot peddle .. but easy on the gas. Use a gentle, gentle foot and go slow. I used the side of the pressure foot as my guide to get a straight edge. You do not want to push or pull the cardstock. Let the feed dogs roll the paper through on their own. Am I speaking a foreign language for you? This might help! I found this great blog post from Sewing School that breaks it down. Click on over to TGIF Challenges and check out all of the fun! I am always very grateful when someone hosts a party. It means that they want to share Stampin' Up! with their friends and that they love ME and want me to demonstrate for them. Being a host has many rewards ... great make and take projects, craftyness, fun, laughs and great free Stampin' Rewards! 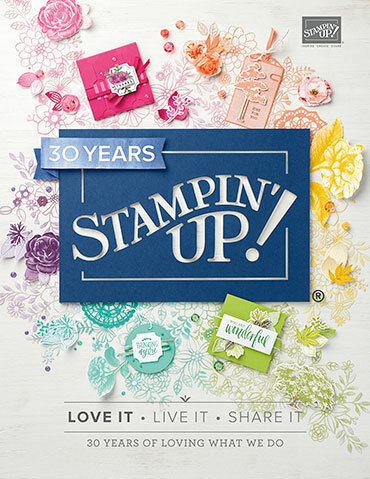 A host can choose to shop with their Stampin' Reward dollars by choosing anything that Stampin' Up! offers. 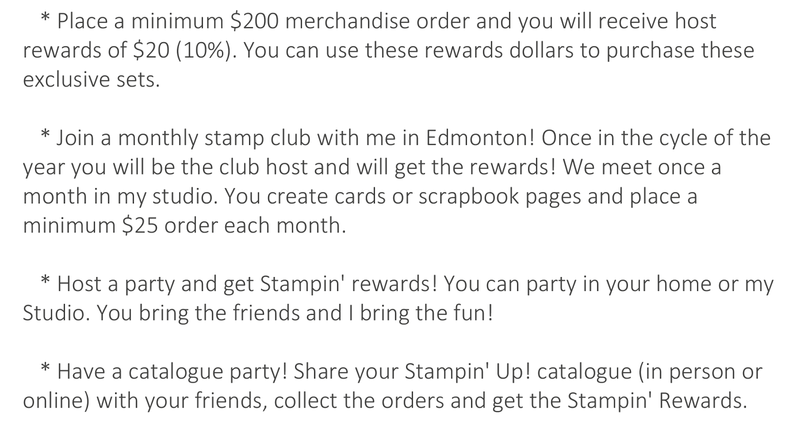 And as an added host perk, there are exclusive stamp sets that are available only to the host. As if that is not incentive enough ... these sets are also at a discounted value. That way the host can get even more free rewards with their credits! I used watercolor paper and classic ink to watercolor the two backgrounds. I did a TGIF Challenge post with my tips for watercoloring last week. See that blog post here. After I watercolored, I let the paper dry. I stamped the greetings with Versamark and embossed with gold and silver Embossing Powder and a Heat Gun. The butterfly was fussy cut .. no punch or die for this one. Do you love the new metallic doilies I tucked behind? I knew you would! 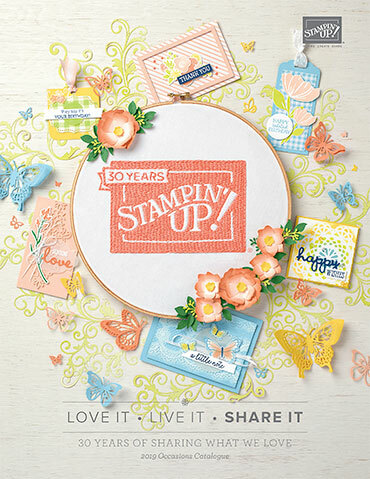 Did you know that there are many ways you can earn Stampin' rewards and these amazing host stamp sets? 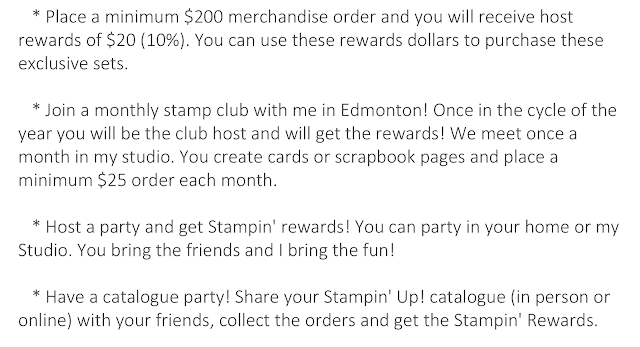 Here is the Stampin' Reward chart. The bigger the order or party = the bigger the reward! So what are you waiting for? Contact me today?! the 16 designers created using Host Stamp Sets! How on earth is it Friday again? The days are flying by and summer break will be here before I know it! Want a good laugh? It is no secret ... I can not spell my way out of a bucket. (Thank goodness for spell check). When I titled this post I spelled "Striped" "Stripped" ... spell check, of course, would not catch this. I second guessed myself and googled it to check. Of course putting in "Stripped" brought up some, um, interesting hits. Wooowee, thank goodness I double checked that! 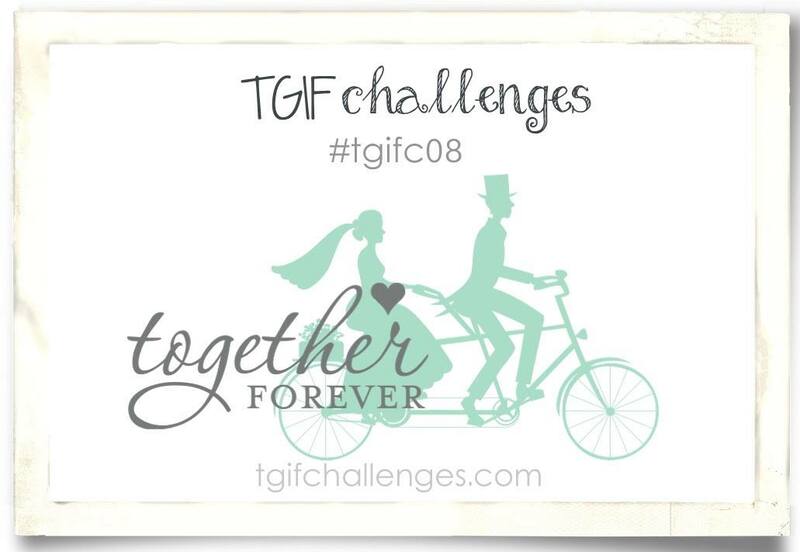 Have you joined the TGIF challenge yet? Join me here each Friday to see the challenge sketch then set off to create your own project. Snap a pic and share it at TGIF Challenges and on social media. 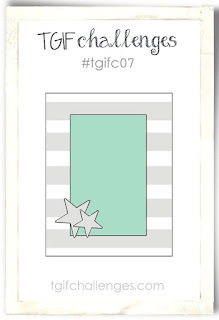 Don't forget to use #TGIFC07! I created this treat bag with the Mini Treat Bag Thinlits. Sometimes little gifts are the best. You could tuck a coffee gift card or some small treats in this bag. The bag filler is Filer Paper. 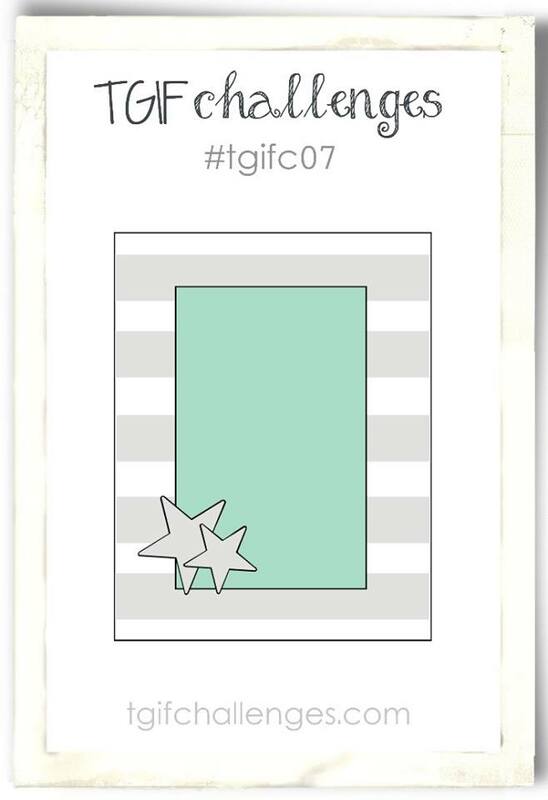 Click on over to TGIF and see what the rest of the design team have created plus the projects the followers are posting!